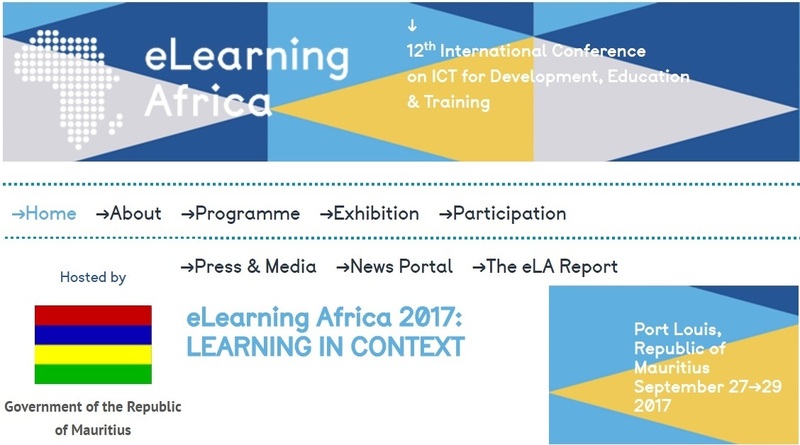 eLearning Africa 2017 - the 12th International Conference on ICT for Development, Education and Training - is the key networking event for ICT enhanced education and training in Africa. Register now. Become involved in shaping the agenda by proposing a TOPIC, TALK or SESSION by 2 May, 2017 HERE. eLearning Africa takes place in a different African country each year, and the conference languages are English, French and Arabic. Serving as a pan-African platform, the eLearning Africa conference is a must for those who want to develop multinational and cross-industry contacts and partnerships, as well as enhance their knowledge, expertise and abilities. eLearning Africa attracts over 1,500 education professionals, investors and providers of education and training. In Africa, context is all-important. No-one can afford to ignore it. It is a vital factor in decisions affecting investment, job-creation and development. So, in education and training, an understanding of context is essential. As new communication technologies extend the reach of opportunity, it is vital for educators, policy makers, partners and investors to take account of the local context and conditions. # So what are the main contextual and cultural considerations affecting the development of new opportunities through technology supported learning? # How can we localise content to maximise opportunity? # How should we apply or adapt technology to meet local conditions and needs? # Above all, in an Africa that is changing rapidly, how can we maintain and safeguard our connection to tradition and context? Read eLearning Africa 2016: In Review [PDF], to find out more about last year's themes and highlights. Visit eLearning Africa 2017 Conference platform for details.